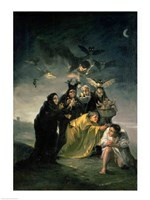 Francisco De Goya (1746 – 1828) was a Spanish artist of the late 18th and early 19th centuries. 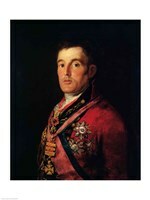 He was born in Fuendetodos. 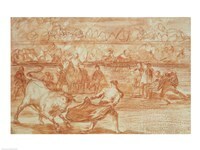 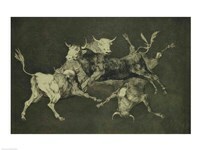 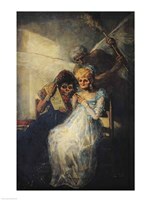 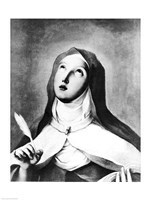 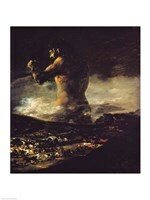 In the course of his work, he moved from lighthearted to pessimistic in his drawings, paintings, frescoes and etchings. 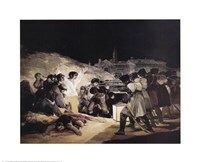 Goya later moved from his birthplace with his parents to Saragossa and, at age 14, he began studying with José Luzán Martínez, a renowned painter of those days. 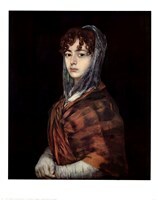 At first, he learned by imitation, copying the works of great masters. 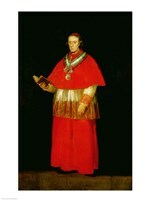 He found inspiration in the works of such artists as Rembrandt van Rijn and Diego Rodríguez de Silva y Velázquez. 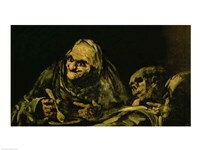 Goya came to artistic maturity during the age of enlightenment (1759 – 88). 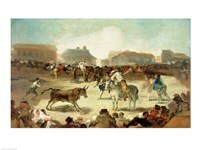 In Madrid, two brothers, Ramón Bayeu y Subías and Francisco, who were both painters, had set up a shop in 1763 and Goya joined their studio and later married their sister Josefa. 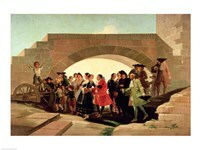 Goya sought to further his art education in 1771 by traveling to Italy where he studied the classic works there. 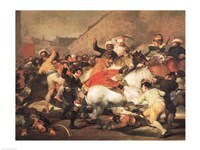 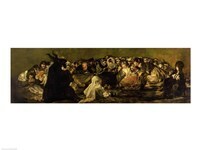 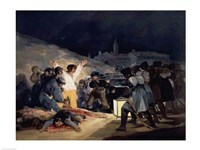 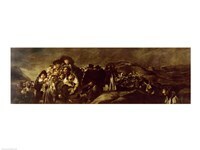 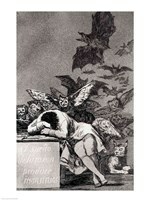 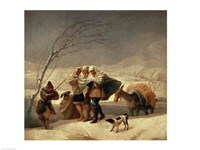 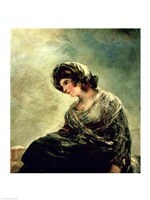 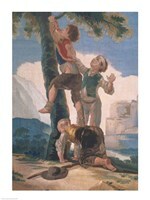 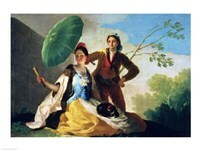 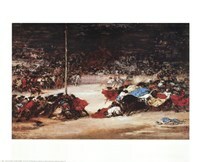 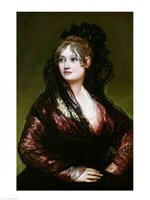 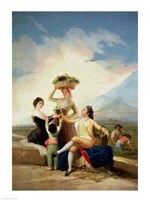 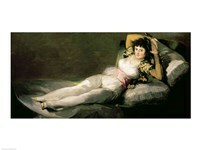 Goya submitted a painting to a competition held by the Academy of Fine Arts at Parma. 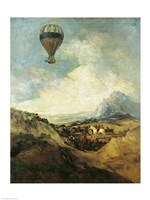 Even though he failed to win the top prize, the judges liked his work. 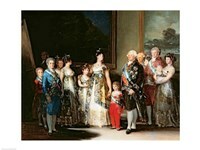 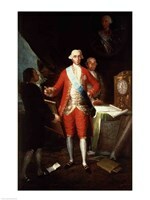 Goya started to create works for Spain's royal family through Anton Raphael Mengs, a German artist. 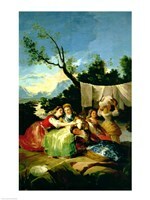 He first painted tapestry cartoons for a factory in Madrid. 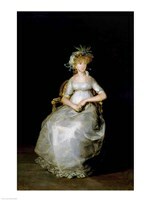 In 1779, he won an appointment as a painter to the royal court. 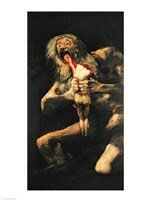 Goya worked hard and continued to rise in status, and in the following year, he received admission into the Royal Academy of San Fernando.